In the mood for an epic dungeon crawl this weekend? 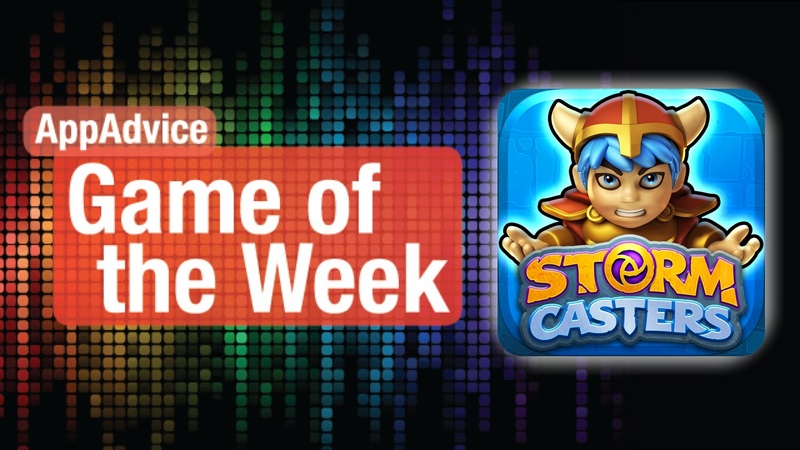 If so, then you’ll definitely don’t want to miss out on our Game of the Week, Storm Casters from Get Set Games, the makers behind Mega Jump. This beautifully rendered and animated dungeon crawler features stunningly detailed levels, tough enemies and bosses, and amazing characters to choose from. Since the game is from the guys behind Mega Jump, you get a bit of the cartoonish look to the game, but it works out incredibly well. The animations in Storm Casters are also very smooth and fluid, which is great, considering how fast-paced the game is. Rather than go with the traditional dungeon crawler formula, Get Set Games went with something fresh and different. The game consists of a dungeon that is split up into multiple chapters, and there are four zones in each. These zones contain a set of several floors for players to go through, and each area is timed — you only have a limited amount of time to bum rush your way through the enemies, defeat the boss, get to the last floor of the zone, take down the zone boss, and get back to the portal to the dungeon. With the timer in mind, you’ll need to be quick with defeating your enemies before you face failure. The game also makes use of battle cards, which will change the outcome of each run. Before you go into the dungeon, the game chooses three random cards from your collection, and these determine the power-ups and items you’ll get from defeating foes and breaking objects in the dungeon. These include different spells, which all have limited ammo (your basic spell has infinite ammo), or you can get boost items and health regeneration. There are treasure chests to get too, which can contain items, coins, or new cards. Your cards can also be upgraded to improve their effects. Since your hero starts out fairly weak, you’ll want to kill a lot of enemies to gain experience points. When you level up, you earn rewards, and you can even upgrade your attack power and portal timer with gold coins. You may even earn warp gems, which can be used to purchase booster packs of battle cards. We’ve been loving Storm Casters because of the fresh new take it offers on the dungeon crawling genre. You don’t have time to waste in here, and the battle cards keep things different and interesting for each run. If you love dungeon crawlers but want something fun and unique, then you need to grab this one. 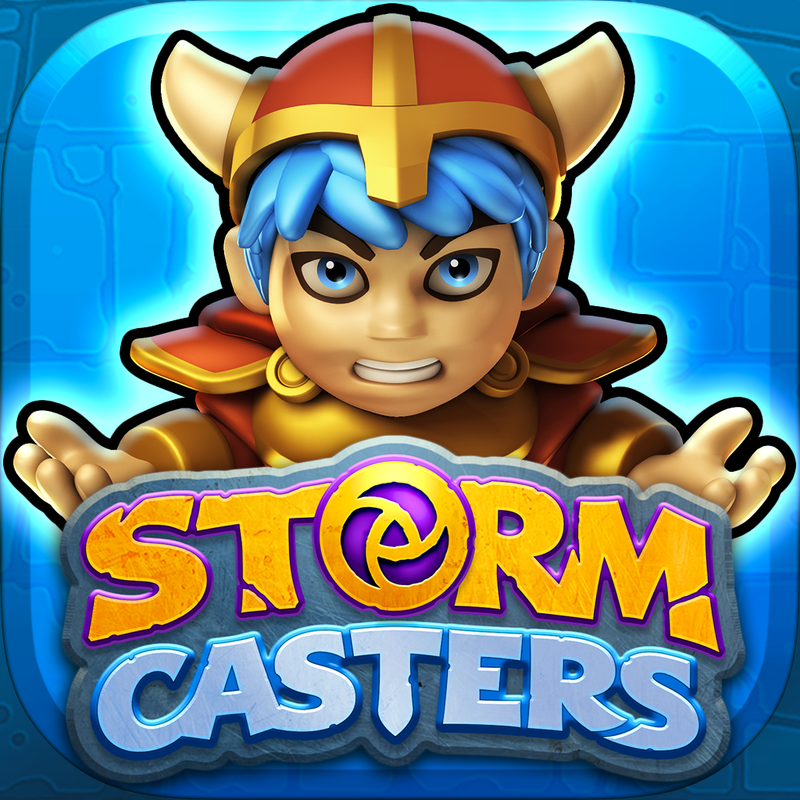 You can find Storm Casters on the App Store as a universal download for $1.99. For more information, check out my original review. Not feeling the dungeon crawler this weekend? Don’t worry, we have you covered! How about a delightful little match-three game involving cute jellyfish? In JELLIES!, you’re greeted with minimal and elegant visuals that are an absolute treat to the eyes. Bob is a charming guy who ends up losing his fingers after he sleeps with his hand in the water while fishing, and the only way to get them back is to catch jellies. It’s only logical, right? The jellies are mischievous, colorful, and quick. The game also has a soothing soundtrack and fun sounds to go with all the matching action. There’s only one game mode that is available with the initial download, and that’s just the Classic mode. You can get Endless by inviting friends on Facebook to get the game, or you can buy it through in-app purchase. The regular mode is basically where you get as many points as you can within 60 seconds. The point of the game is to catch jellies by linking them. You need at least two to make a match, but the more you chain together, the more points you get. To link them, all you need to do is draw a line from one jelly to another of the same color — if there’s another jelly in the way, they won’t connect. You can link back to the first jelly when matching to clear out any jellies in the center — this means a lot of strategizing. Special jellies will also show up, such as the Disco Jelly, so plan to capture those as well for mega points and special triggers. You have to be quick, though, because the jellies will propel themselves forward each second, even propelling themselves off the screen. To help your jelly matching quest, there are also power-up items that you can buy (you earn gold after every game) and use. 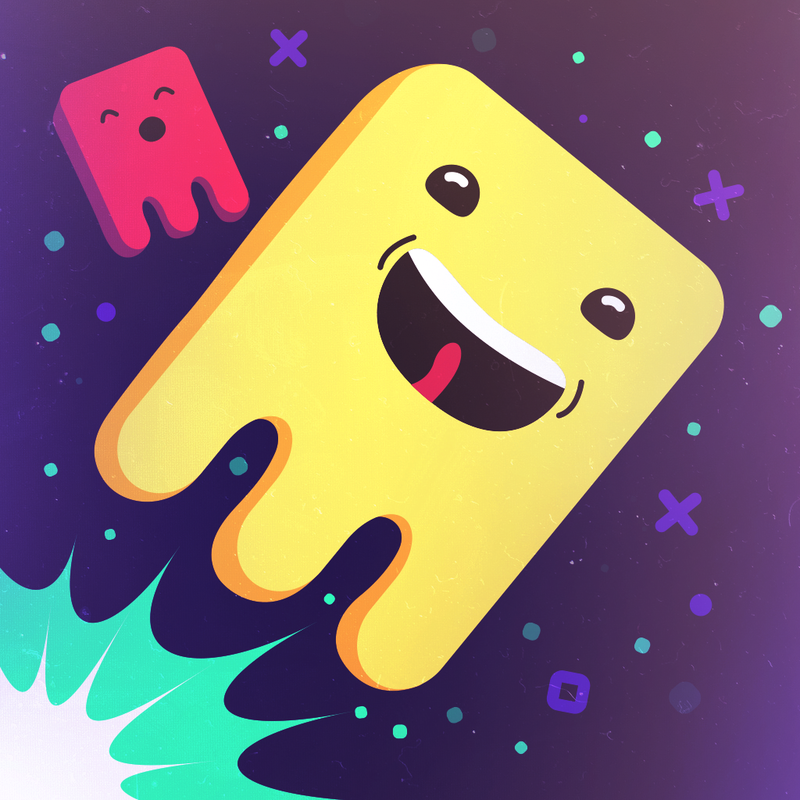 We are always in the mood for a good puzzle game here at AppAdvice, and JELLIES! is definitely one of them. If you love color matching games with a little pizzazz, then make sure to grab JELLIES! It’s available on the App Store as a universal download for $1.99. For more information, don’t miss my full review.